Will Computers Soon be Better at Health Care than Humans? Many dimensions of modern life are being increasingly powered by artificial intelligence, including various aspects of health and wellness. How long before a computer can outperform human-directed health-care interventions? Perhaps more importantly, how long before a human will be willing to trust a non-human to treat him or her? These two questions might become focal in the debate on the potential of machine learning technology and robotics in health care. 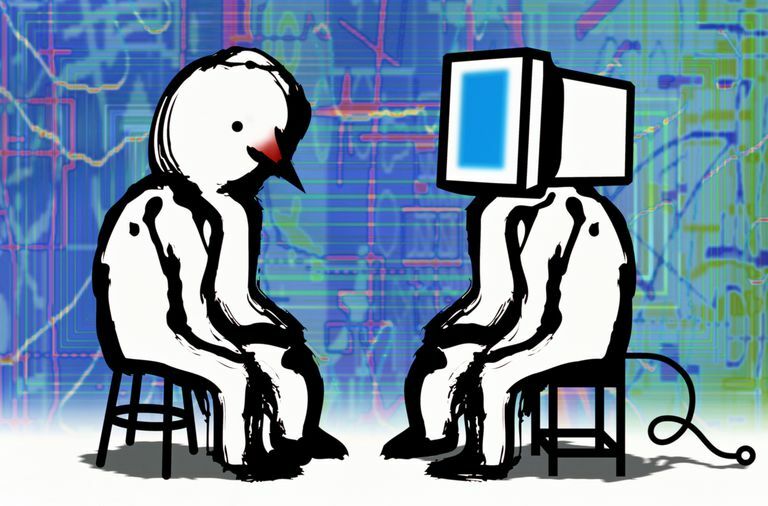 Computers can “think” in an increasingly human-like way. Whether we are ready or not, recent developments in cognitive computing signal that the age of computerized coaching and health care has arrived. It is no secret that we are sharing all sorts of private and, often, intimate information every time we make a purchase or browse the Internet. The ability to predict health events simply by tracking casual behavior was poignantly demonstrated back in 2012 when the retailer Target showed the world they could predict with uncanny accuracy if a woman was pregnant based on her shopping habits—sometimes even delivering the news of pregnancy to abashed family members. Many personal details get statistically analyzed on a routine basis to provide more insight into one’s habits and characteristics. Some of these practices happen voluntarily and with the user’s full awareness and support, while others can be performed stealthily by organizations and companies. Involuntarily tracking behavior raises certain ethical and social questions. Many individuals now freely share their personal health information in various ways, through explicit sharing via a health risk assessment, casually through wearables, and sometimes even unintentionally through social media posts and buying behavior. The accuracy with which this information can be analyzed and interpreted is increasing, creating both perils and opportunities, and possibly placing us at the frontier of a new era where technology could play a role in nudging our health and well-being in positive ways. Doctors’ diagnostic errors are a huge area of concern. A result of negligence or a failure to consider the abundance of options, these mistakes can be devastating for the patient and his or her family. Professor Eta Berner of the University of Alabama at Birmingham and Dr. Mark L. Graber of Northport VA Medical Center found that an estimated 10 to 20 percent of medical cases were misdiagnosed. Berner and Graber point out that efficient cognitive processes secure the correct diagnosis most of the time. However, there are times when these cognitive processes fail. Berner and Graber’s analysis showed that physician’s overconfidence can often be a contributing cause of medical errors. Furthermore, a report funded by the Agency for Healthcare Research and Quality found 28 percent of all diagnostic mistakes to be major in severity, possibly indicating a life-threatening event. Misdiagnosing can include anything from prescribing the wrong medicine to surgically removing the wrong body part. This alarming statistic might lead some to argue that the existing problem could be solved simply by removing the human factor from the equation. Technology like IBM’s Watson is now offering hope that information can be synthesized and contemplated in a more humanistic fashion. Watson’s cognitive technology has the capacity to analyze unstructured data, understand complex questions and present end-users with evidence-based solutions. Watson is aiming to enhance predictive algorithms, which have not always proven successful when applied in real-life situations. However, what could be more provocative than Watson’s predicting potential is the possibility of its technology outperforming humans when it comes to health and fitness interventions. In 2015, IBM Watson formed a strategic partnership with CVS Health, this announced the arrival of cognitive computing in the commercial health-care industry. It suggested that soon, doctors and pharmacists would have access to technology that could, for example, automatically detect a decline in a patient’s health. A deal between Under Armour and IBM, which was signed in 2016, gave Watson an opportunity to further build and develop its health platform. Apple, too, made a significant investment in the Watson platform with the aim of improving its HealthKIT and ResearchKIT development platforms. According to a report by Grand View Research Inc., the global healthcare cognitive computing market is predicted to reach over $5 billion by 2020. Scientific research studies are also supporting the use of technology to minimize the risk of error and harm in medicine. Dr. Mark L. Graber suggests the use of so-called “trigger tools”, which could identify cases at risk of diagnostic error by analyzing electronic health records and looking for discrepancies. Different types of trigger tools are now in use in American hospitals, however, they are not always able to detect diagnostic errors. Therefore, efforts are being made to design better preventative interventions as well. A promising approach has been presented by Dr. Hardeep Singh and his colleagues. They designed an electronic trigger that can identify patients who have unscheduled hospital appointments within 2 weeks of their primary care visit, suggesting that something might have been missed during their initial examination. Many experts predict that technology like this will help prevent errors or at least bring them to attention in an effort to reduce them. In 2015, the Chairman of NHS England, Sir Malcolm Grant, expressed his opinion that artificial intelligence should be embraced by healthcare as it could improve the quality of care as well as advance personalize medicine. Many health professionals have since echoed this sentiment. Technology that could reliably diagnose and/or identify diagnostic errors through data mining is likely not far away. Cognitive computing in the health-care sector is currently being used more in an advisory role and not to make final decisions or replace humans per se. Watson, for example, helps individuals and organizations make more advanced and sophisticated clinical decisions and will soon help individuals improve their fitness levels through its partnership with Under Armour. However, it was only a short time ago that computers overtook humans as the dominant force in an intellectual sport like chess, and computing powers are only increasing. Furthermore, the human element is being added to computers’ processing characteristics, making the idea of computer and robots taking care of us not so far-fetched as it once seemed. Berner E, Graber M. Overconfidence as a Cause of Diagnostic Error in Medicine. The American Journal Of Medicine. 2008;121:S2-S23. Graber ML. The incidence of diagnostic error in medicine. BMJ Quality & Safety. 2013;22(Suppl 2):ii21-ii27. doi:10.1136/bmjqs-2012-001615. Singh H, Giardina TD, Meyer AND, Forjuoh SN, Reis Singh H, Giardina TD, Meyer AND, Forjuoh SN, Reis MD, Thomas EJ. Types and Origins of Diagnostic Errors in Primary Care Settings. JAMA internal medicine. 2013;173(6):418-425. Thompson M. Healthcare and cognitive computing team up for big changes. Econtent. 2015:4-8. Are Robots Going to Look After You When You Get Old?